Bitcoin users who just finished buying or selling bitcoins from a Bitcoin exchange need to make sure that their coins are safe. Among the types of Bitcoin wallets, a hardware Bitcoin wallet ensures the safety of your account because it keeps your private key and public address offline. A hardware wallet that gets the attention of most users is Ledger HW.1. This wallet allows you to share accounts with other fellow users. This is beneficial especially for your family or business. The co-users of the account would have to approve each transaction before it proceeds to the blockchain. You can also create other accounts to use for Ethereum mining and Litecoin mining. While different hardware wallets come in different forms, Ledger HW.1 is in a form of a USB. With its design, most users prefer this wallet to store their budgets. 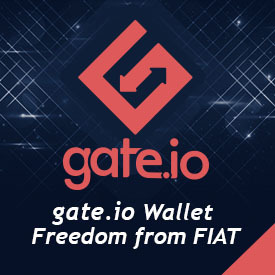 There are also users who bought this wallet because it is effective for businesses and groups. In fact, in case of damage or loss, you can use any Ledger wallet to restore your account. Just use the recovery password that you have and you can easily access your wallet. Compatible solutions such as BIP 39 are also available in case of emergencies. You can also choose your preferred wallet either in enterprise, multi-sig, or classic. All these editions have free updates and are suitable for your intended use. Should you use Ledger HW.1? Compared with other hardware wallets, Ledger Nano S and Ledger HW.1 can be added to any computer through a Google Chrome extension. This makes these devices more convenient than others because all computers have Google Chrome. If you happen to leave your wallet, do not worry because when the incorrect PIN is typed for three times, the device will automatically go to Factory Settings. This feature will help you prevent hacking and physical theft. Another advantage of this Ledger HW.1 is that it has a microchip that secures your account, apart from the PIN. This just adds to the multiple layers of security just to make sure that your account is safe with this wallet. There is a variety of products from Ledger that amazed users, but the company will not refrain from bringing more convenience to its clients. Unfortunately, as of this writing, there are no new updates for this wallet. But, this does not stop loyal users from patiently waiting for the next step of their most loved wallet.